Bergamot Essential oil, Italy: New Low Prices!!! The initial scent is rich, sweet, fruity and should remain so throughout. However, middle notes are oily-herbaceous and somewhat balsamic. The sweetness subsides a bit and a tobacco-like, rich aroma can be detected. The freshness of the top note is mainly due to terpenes and small amounts of citral and aliphatic aldehydes. Unlike other citrus oils Bergamot has a fixative effect when used in high concentrations. The odor is naturally well balanced through the presence of certain coumarin derivatives. Some of these components are odorless and non-volatile. The main chemical constituent of Bergamot is Linalylacetate. In Aromatherapy Bergamot is considered good for depression and mental alertness. Blends well with other citrus oils and cilantro. Bergamot is a citrus fruit whose rind is used for extracting the Bergamot Oil. This makes shelf-life shorter than most essential oils - 6 months. It is a tropical plant but thrives well in Europe too. Bergamot Oil has a very sweet smell and a number of medicinal and industrial uses due to its properties listed below. * Anti depressant & Stimulant: The components of Bergamot Oil, like Alpha Pinene and Limonene, are anti depressant and stimulant in nature. They give a feeling of freshness, joy and energy in cases of sadness and depression by improving circulation. They also stimulate hormone secretion and thus help maintaining proper rates of metabolism. This stimulating effect increases secretion of digestive juices, bile and insulin, thereby aiding digestion, proper absorption of nutrients, assimilation and decomposition of sugar and the resultant lowering of blood sugar level. 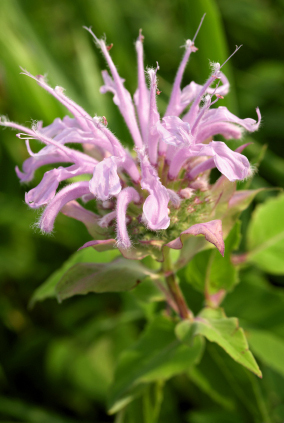 * Relaxant & Sedative: The Flavonoids present in Bergamot oil are very good relaxants too. They soothe nerves and reduce nervous tension, anxiety, stress etc. and hence help cure ailments associated with stress such as sleeplessness, high blood pressure etc. * Anti Biotic & Disinfectant: Certain components of the essential oil of Bergamot are anti biotic and disinfectant in nature. They inhibit growth of germs, virus and fungi. They also effectively prohibit infections, such as those of skin. If regularly used with bathing water or in soaps (this is already used extensively in skin-care soaps), the skin and hair remains protected from infections and become shiny. It also cures infections of colon, intestines, urinary tract and kidneys. * Anti Septic & Vulnerary: The same disinfectant and anti biotic properties of Bergamot Oil make it a good anti septic and vulnerary agent. It not only helps fast healing up of wounds, cracks on skin and heels, ulcers, eczema, itches etc. but also protects wounds from being septic and developing tetanus. * Febrifuge: Febrifuge is a substance or an agent that reduces fever and lowers body temperature. Bergamot is a good febrifuge due to many reasons. First, being an anti biotic, it fights infections from virus, bacteria and protozoa which cause fever, such as influenza (virus), malaria (protozoa) and typhoid (typhus bacteria), and thus helps curing fever. Second, it stimulates the metabolic system and secretions, thereby giving a feeling of warmth and resulting in more secretion (perspiration or sweat) from the Eccrine glands (sweat glands) and sebaceous (sebum) glands, thus reducing body temperature. * Analgesic: It reduces the feeling of pain in the body. Actually it stimulates secretion of certain hormones which lessen sensitivity of nerves to pain. Thus it is very helpful in case of headache, sprains etc. all those symptoms which require heavy dosage of analgesic pills. * Digestive: As discussed above, it activates and increases secretions of the digestive acids, enzymes and bile and facilitates digestion. It also synchronizes or regulates the peristaltic motion of the intestines and this way too, help in digestion. * Cicatrisant: This property of Bergamot oil is the reason behind its extensive use in cosmetics, skin-care products such as beauty soaps, creams, lotions etc. Cicatrisant is a property or an agent which helps the scar and other marks on the skin to disappear. It also makes the distribution of pigments and melanin even and uniform, resulting in the fading away of marks. * Deodorant: No doubt, this property of bergamot oil is going to attract the teenagers who are after every new deodorant in the market and desperately want something really refreshing and natural. This is an excellent deodorant. Its own refreshing aroma (fragrance) and disinfectant properties (which inhibit growth of germs causing body-odor) make it a really effective and attractive package as a deodorant. * Anti Spasmodic: It relaxes nerves and muscles and thus gives quick relief in cramps, convulsions, painful muscle contractions etc. * Vermifuge: It kills worms. Thus it is going to be a very fragrant choice for children who have worms. It can also be applied on the affected tooth or used as a mouthwash to kill oral germs and protect teeth from cavities. Other Benefits: It is also Tonic, that is, it tones up respiratory, circulatory, digestive, excretory, nervous system as well as skin and muscles. It is also anti congestive and is used in vaporizers to relieve congestion and respiratory problems, particularly during cough and cold.